Rosen, Sherwin and Richard H.Thaler. "The Value of Saving A Life: Evidence From The Labor Market,"In Household Production and Consumption, edited by Nester Terleckyj. NationalBureau of Economic Research, (1975): 265-298. Lasky, Jeffrey and Richard H. Thaler. "Design Requirements for Criminal Justice Research and ResourceManagement/Planning Systems." In Proceedings of the Second InternationalSymposium of Criminal Justice Information and Statistics Systems, 1976. Thaler, Richard H., "On Optimal SpeedLimits." In Auto Safety Regulation: The Cure or the Problem? edited byHenry Manne and Roger Miller, 1976. Rosen, Sherwin and Richard H. Thaler. "Some Results of Research on the Value of Saving Lives." InProceedings of a Workshop on the Measure of Intangible Environmental Impacts. ElectricPower Institute, 1977. Thaler, Richard H., "An EconometricAnalysis of Property Crime: Interaction Between Police and Criminals. "Journal of Public Economics; 8(1) (1977): 37-51. Thaler, Richard H. "A Note on theValue of Crime Control: Evidence from the Property Market." Journal ofUrban Economics, 5 (1978): 137-145. Mayers, David and Richard H. Thaler,"Sticky Wages and Implicit Contracts: A Transactional Approach. "Economic Inquiry October 17(4) (1979): 559-574. Thaler, Richard H., "Discounting withFiscal Constraints: Why Discounting is Always Right." Defense ManagementJournal October 15 (1979): 2. Thaler, Richard H., "Toward A PositiveTheory of Consumer Choice." Journal of Economic Behavior and Organization,1 (1980): 39-60. Reprinted edition. Edited by Breit and Hochman. (1985). Shefrin, H.M. and Richard H. Thaler,"Interpreting Rationality in Hierarchical Games." Economic Letters,(1980). Thaler, Richard H., "Judgment andDecision Making Under Uncertainty: What Economists Can Learn fromPsychology." Risk Analysis in Agriculture: Research and EducationalDevelopments. Presented at a seminar sponsored by the Western Regional ResearchProject W-149, Tucson, Arizona, June 1980. Shefrin, H. M. and Richard H. Thaler,"An Economic Theory of Self-Control." Journal of Political EconomyApril, 89(2) (1981): 392-406. Thaler, Richard H., "Maximization andSelf-Control," a commentary on "Maximization Theory in BehavioralPsychology," by Rachlin, Battalio, Kagel and Green, in The Behavioral andBrain Sciences, 1981. Thaler, Richard H., "Some EmpiricalEvidence on Dynamic Inconsistency." Economic Letters 8 (1981): 201-207. Gould, William and Richard H. Thaler,"Public Policy Toward Life Saving: Should Consumer Preferences Rule? "Journal of Policy Analysis and Management, (1982). Thaler, Richard H., "Precommitment andthe Value of a Life." In The Value of Life and Safety. Edited by MichaelJones-Lee. North-Holland Press, 1982. Thaler, Richard H., "TransactionUtility Theory." Paper presented during the proceedings of the Associationfor Consumer Research Conference, San Francisco, 1983. Thaler, Richard H., "Illusions,Mirages, and Public Policy." Public Interest Fall, (1983). Thaler, RichardH., "Illusions, Mirages, and Public Policy." In Judgment and DecisionMaking: An Interdisciplinary Reader. Edited by Hal Arkes and Kenneth Hammond.Cambridge University Press, 1986. Thaler, Richard H., "Illusions,Mirages, and Public Policy." 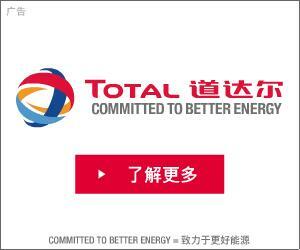 In Environmental Impact, Assessment,Technology Assessment and Risk Analysis. Edited by V.T. Covello et al. NATO ASISeries, 1983. Thaler, Richard H. and Kathy Utgoff. "An Economic Analysis of Multiyear Procurement." In OperationsResearch in Cost Analysis. Edited by Gerald R. McNichols. Operations ResearchSociety of America, 1984. Thaler, Richard H., "Mental Accountingand Consumer Choice." Marketing Science, 4 (1985): 1999-214. De Bondt, Werner F.M. and Richard H.Thaler,"Does the Stock Market Overreact?" Journal of Finance, 40(1985): 793-805. Russell, Thomas and Richard H. Thaler,"The Relevance of Quasi Rationality in Competitive Markets." AmericanEconomic Review 75 (1985): 1071-1082. (Reprinted and corrected version fromQuasi Rational Economics). Kahneman, Daniel, Jack Knetsch and RichardH. Thaler. "Fairness and the Assumptions of Economics," Journal ofBusiness 59(4), (1986): S285-300. Thaler, Richard H., "The Psychologyand Economics Conference Handbook: Commentary on papers by H. Simon, H. Einhornand R. Hogarth, and A. Tversky and D. Kahneman." Journal of Business,(1986). Kahneman, Daniel, Jack Knetsch and RichardH. 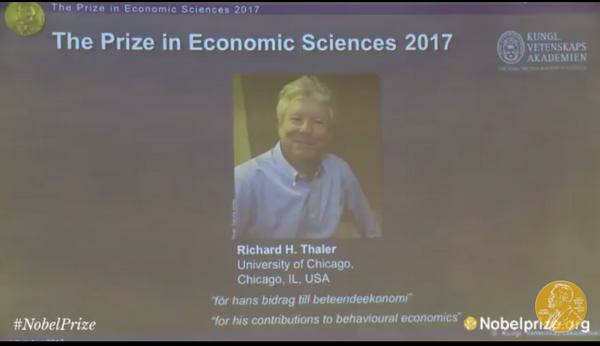 Thaler. "Fairness as a Constraint on Profit-Seeking: Entitlements inthe Market" American Economic Review 76(4), (1986): 728-741. De Bondt, Werner F.M. and Richard H.Thaler, "Further Evidence on Investor Overreaction and Stock MarketSeasonality" Journal of Finance 42, (1987): 557-581. Thaler, Richard H., "The Psychology ofChoice and the Assumptions of Economics." In Laboratory Experiments inEconomics: Six Points of View. Edited by Alvin Roth. Cambridge UniversityPress, 1987. Shefrin, H.M. and Richard H. Thaler,"The Behavioral Life-Cycle Hypothesis." Economic Inquiry 26(4),(1988): 609-643. Thaler, Richard H. and Eric Johnson,"Gambling with the House Money and Trying to Break Even: The Effects ofPrior Outcomes in Risky Choice." Management Science 36(6), (1990):643-660. De Bondt, Werner F.M. 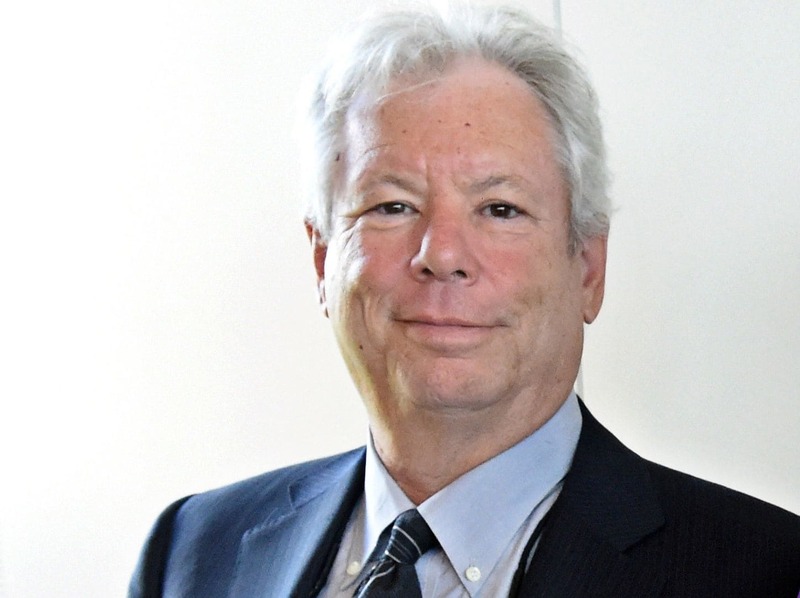 and Richard H.Thaler, "Do Security Analysts Overreact?" American Economic Review80(2), (1990): 52-57. Kahneman, Daniel, Jack Knetsch and RichardH. Thaler, "Experimental Tests of the Endowment Effect and the CoaseTheorem" Journal of Political Economy 98(6), (1990): 1325-1348. Powered by 经济家 X3.2 Copyright © 2013 - 2018 Comsenz Inc.